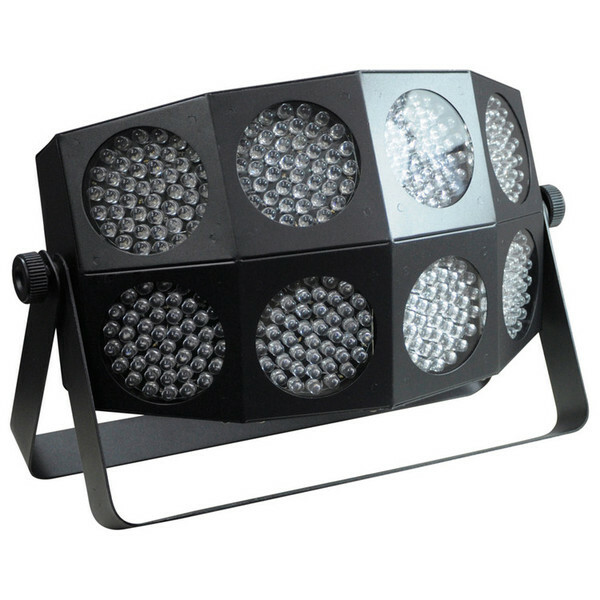 LED Octo Bar DMX Lighting Effect, with 360 Ultra Bright 10 mm LEDs. 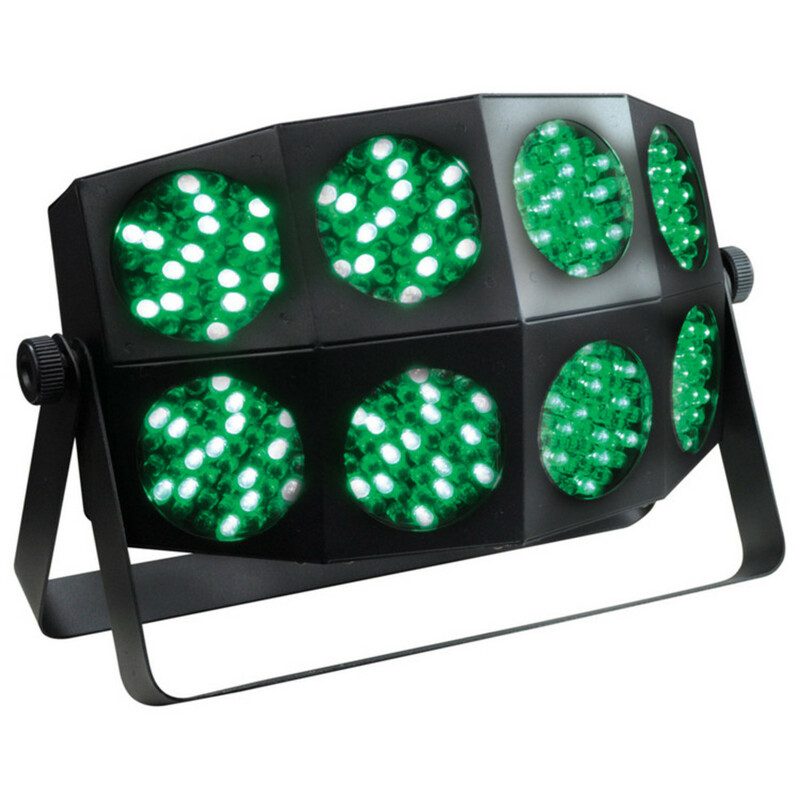 This stunning disco effect features 360 Ultra Bright 10 mm LEDs. The 8 lenses on the front of the unit each have 45 LEDs which produce stunning multicoloured effects. 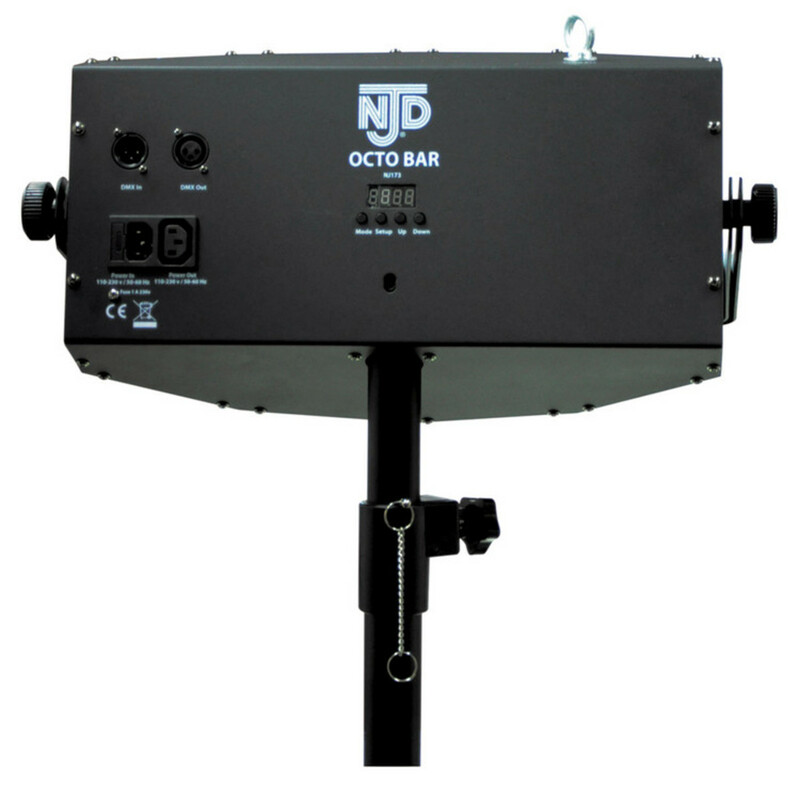 The LED Octo Bar can be operated in stand-alone mode, via DMX or in a Master/Slave configuration. It can also be sound activated or just left to cycle through the built in programs. Supplied with a sturdy adjustable dual hanging bracket/floor stand and has an integral 35 mm top hat for mounting on stands.